The digital age emerged suddenly on the world's timeline and has drastically changed the shape of culture. Consequently, today's entertainment has become one of the biggest stumbling blocks to spiritual growth and family health in our nation. Parenting teens was a noble challenge long before society became surrounded by captivating screens, and navigating life as a teen had plenty of difficulties and distractions long before the game changing technology of the smartphone. The bottom line is that parents and teens are both in need of help! Our generation is faced each day with an all-you-can-eat media buffet. It has a huge influence on how we think, how we spend our time, and how we relate to others. It can also affect our relationship with God. Christians have been eager to keep up with the sweeping changes but have fallen far behind in Biblical wisdom. There is a growing need for media discernment in the light of following Jesus. 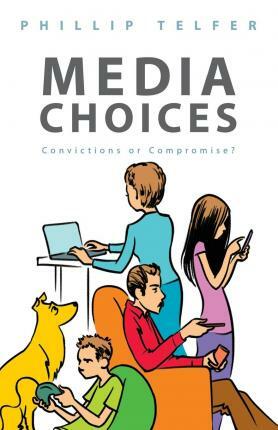 Very few authors have broached the topic of media literacy from a Christian worldview. Phillip Telfer handles this challenging subject deftly with story-driven analogies that serve as a spoonful of sugar to help the medicine go down. While this does not conclude with a call to be anti-media or anti-technology, it does raise concerns about the unchecked enthusiasm regarding media and entertainment, which are often consumed without discretion. This book will help you discover the Biblical principles that can inspire reasonable convictions. Learn how God's word addresses the unique challenges we face today. This book can help parents and teens discover how and why to guard their hearts and find freedom in this media captive culture.